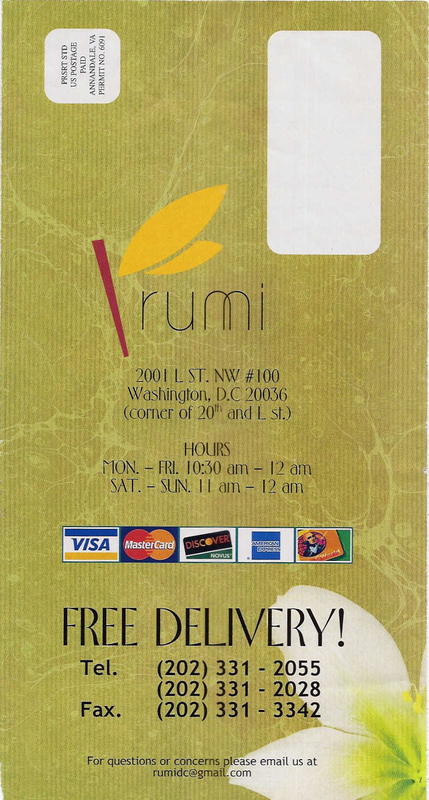 Feeling like something different for lunch, I convinced a friend of mine to go with me to Rumi Restaurant. 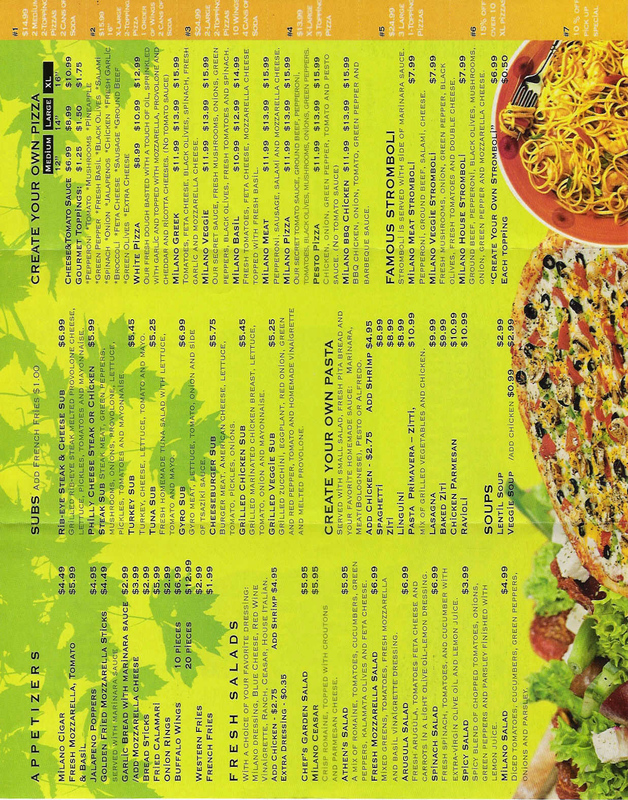 Food:I went twice — once I went to their restaurant and the second time I ordered delivery. 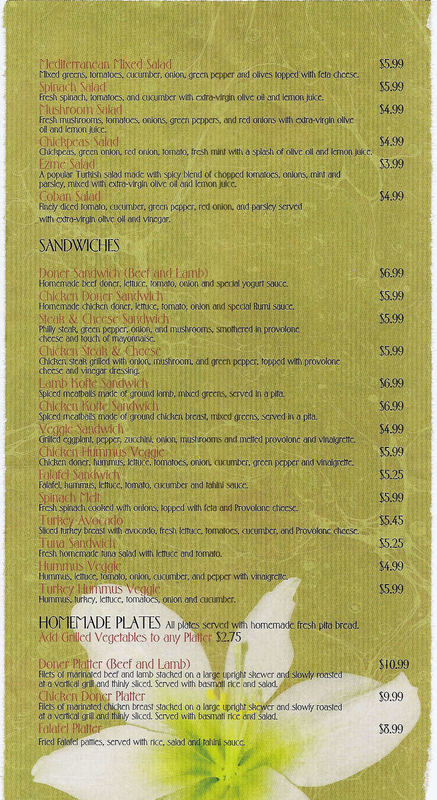 The first time, I ordered their chicken doner (first photo). It was really good, but there was no “Special Rumi sauce” as the description promised. Then the second time, I ordered the doner sandwich (mixture of beef and lamb). 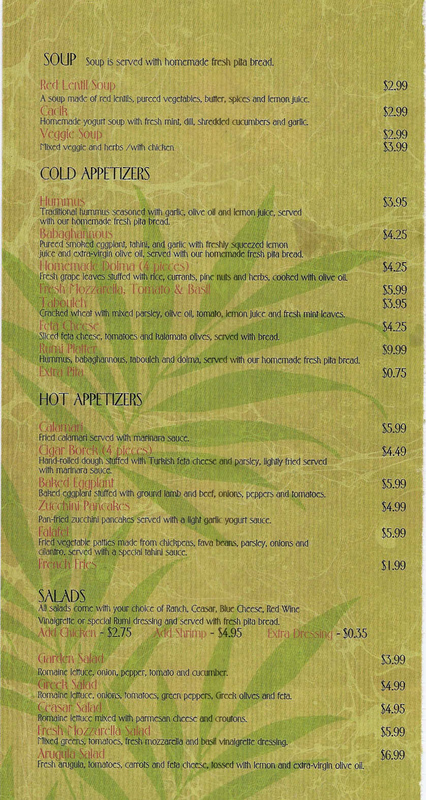 The pita bread was pretty good and a generous size. Unfortunately, again, there was no yogurt sauce (as they had promised). So both of these sandwiches, while they were good, were dry. If there was sauce on them, I bet they would have been good! Service: They’re pretty quick and polite. My delivery order didn’t come with the soda though that I had ordered (and paid for). Atmosphere: The interior completely lacks any character. It’s fake wood tables and cheap chairs, but they offer good deals and big helpings. For example, they have a $8 pizza special where they give you two slices and a can of soda (and the slices are pretty big). Overall:Next time I order from here, I’ll make it very clear I want the sauce to be included on the sandwich. I like the fact they’re open late and have an $8 minimum needed for free delivery. 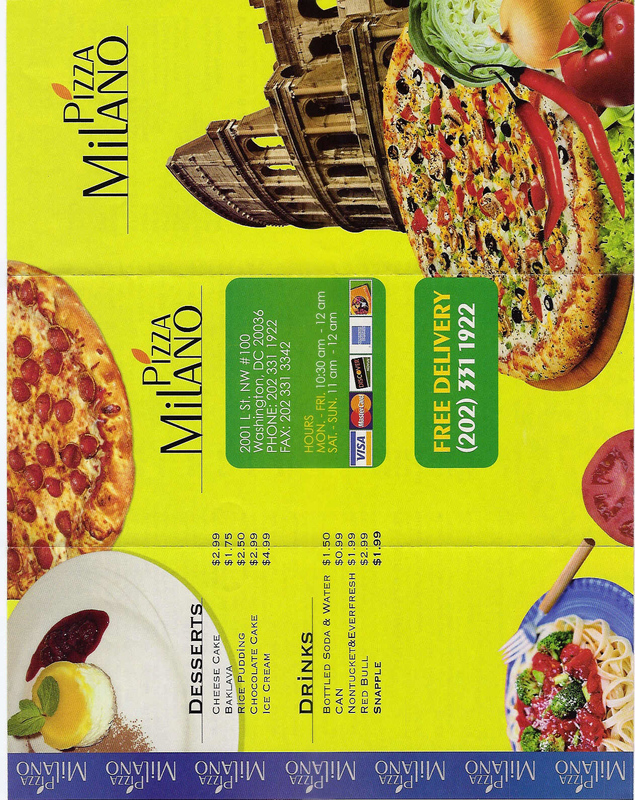 Here’s the menu to their pizza (Pizza Milano Menu Side A and Pizza Milano Menu Side B) and here’s Rumi’s menu (Page 1, Page 2, Page 3, Page 4). 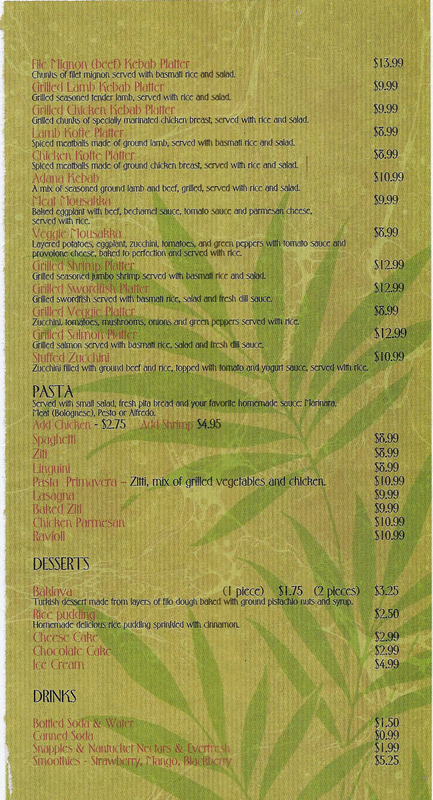 Just click on the menu and then click on the photo icon to make the menu bigger.